BTL Lyphastim offers effective mechanical lymph drainage to regenerate and detox the body. This treatment has been clinically proven and tested to effectively target cellulite, achieve volume reduction and body shape remodeling, improve skin elasticity and promote the regeneration of the skin and body. 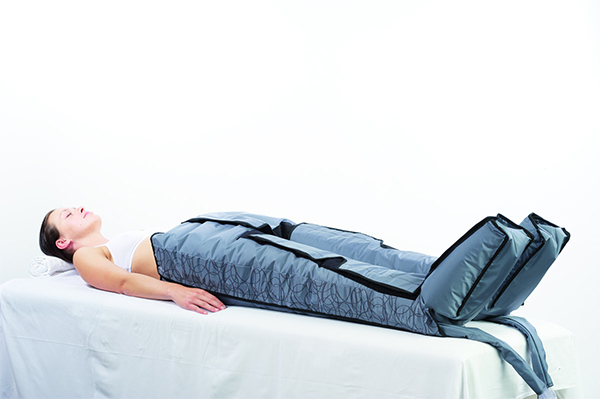 It also has preset programmes for muscle relaxation and massage. BTL Lymphastim can be used on its own, in conjunction with other BTL therapies and is also particularly effective for use after liposuction. Areas that can be treated include: arms and legs (including part of the abdomen). For aesthetic purposes, it will be according to personal preferences; but for medical reasons as frequently as the lymphatic oedemas occur. Fully overlapping chambers make the therapy very effective due to the precise movement of lymphatic fluids. You can experience a reduction of volume and remodeling of the body shape, improvements in cellulite and skin elasticity and the health benefits that come from detoxifying the body. This therapy can also be used for the prevention and treatment of heavy-legs syndrome. During the treatment, you will experience on and off compression movements of the treated area. This will progress in sequences depending on the pre-set treatment programme selected. There is no discomfort or pain during the treatment, rather a feeling of relaxation. You need to be prepared to run to the toilet to urinate quite regularly after the treatment.